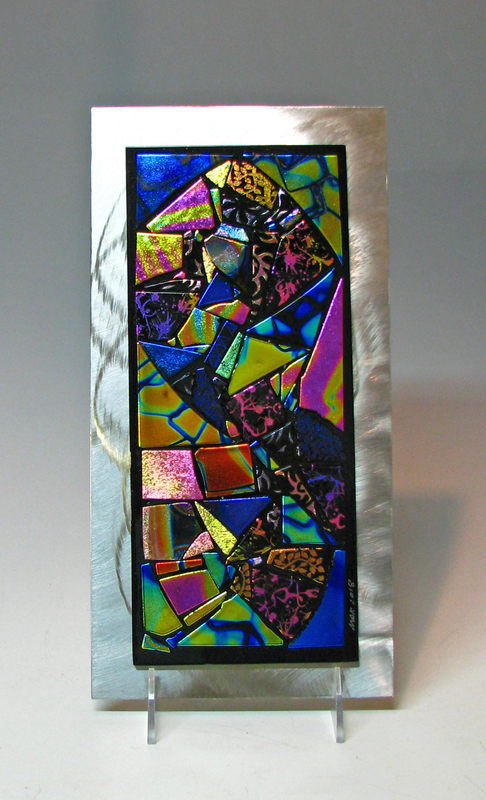 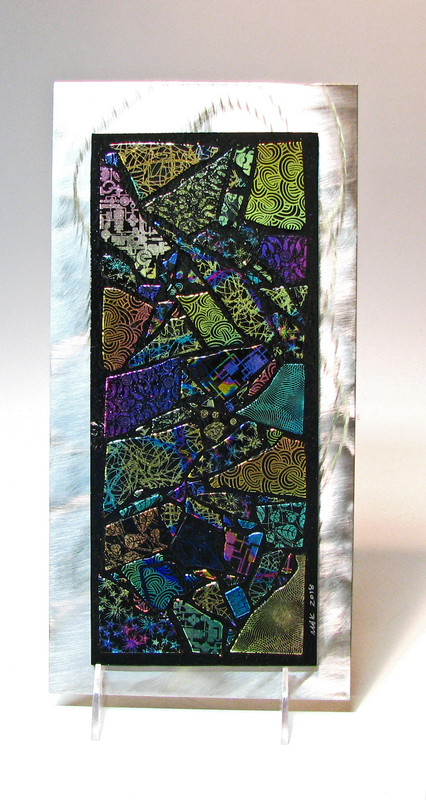 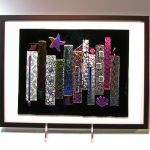 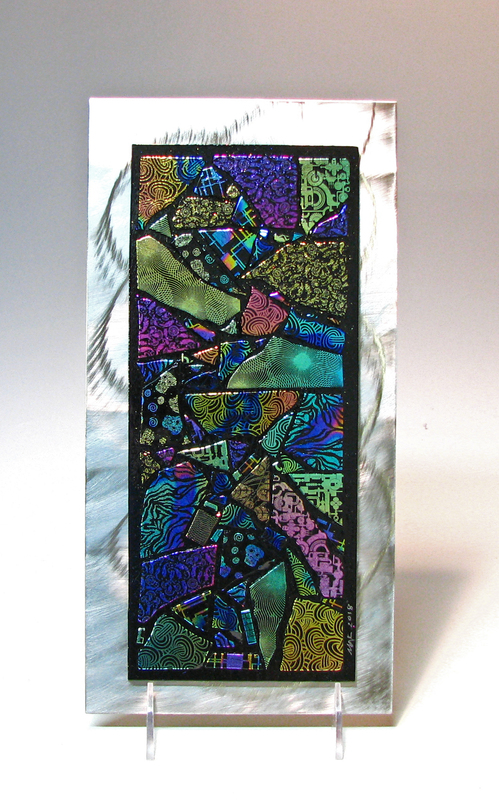 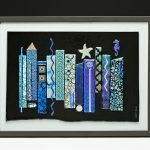 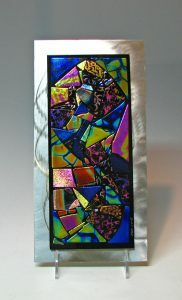 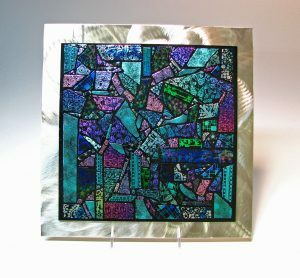 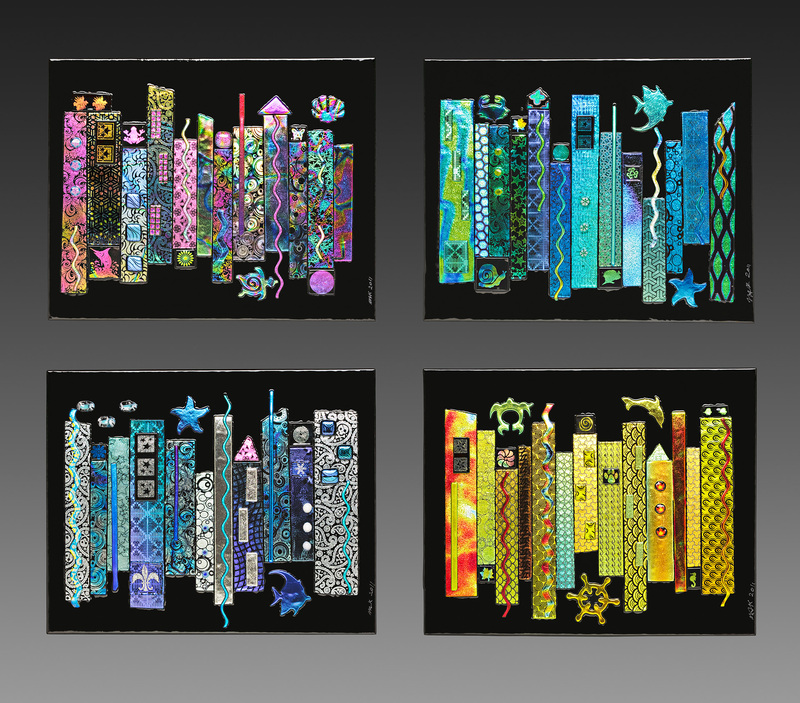 My Jazz wall art are created by selecting and arranging many different pieces of dichroic glass on a black glass base, then embellishing with various types of accessory glass – squiggles, water jet cut objects, stars, murrini, noodles, dots…selecting from a large stash of glass items I have in the studio. 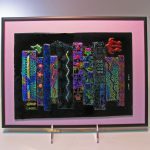 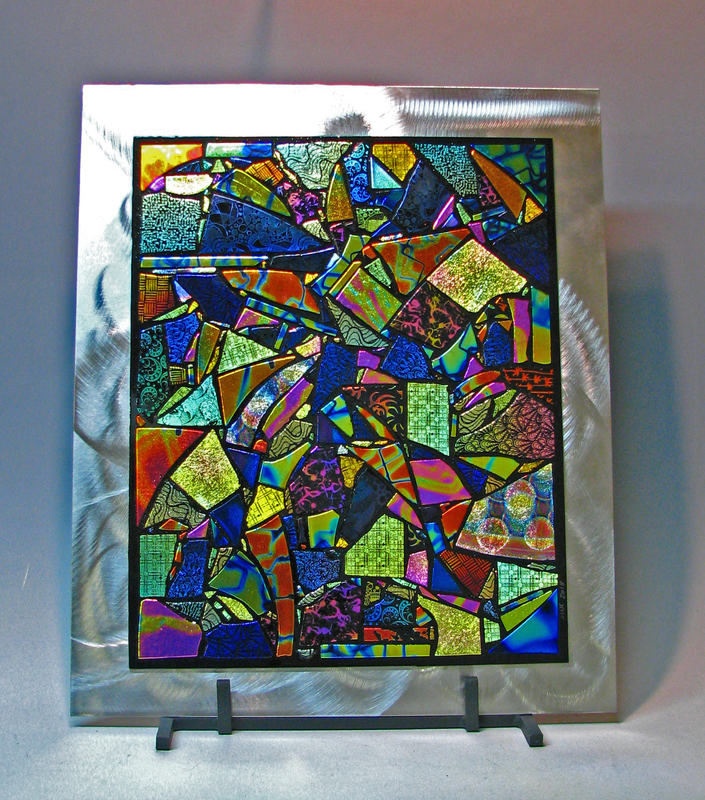 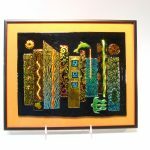 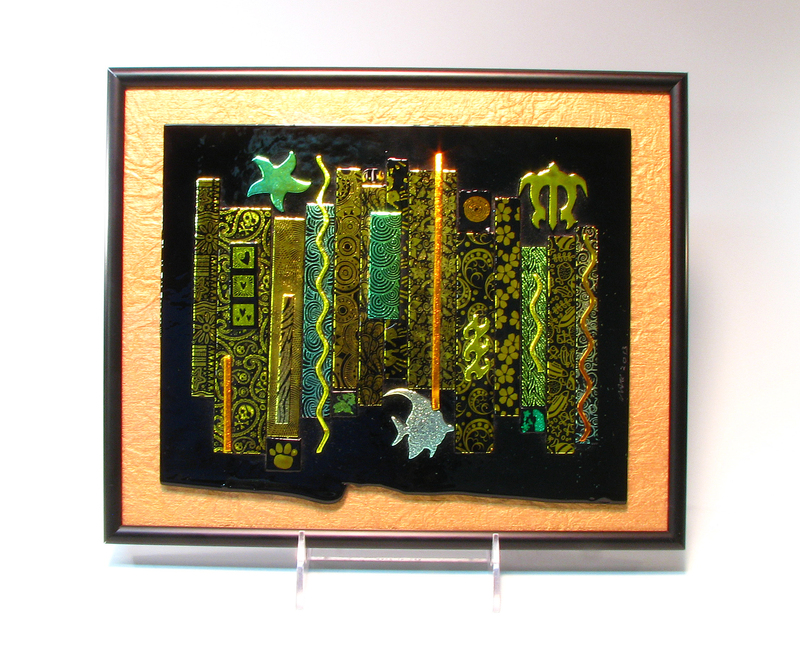 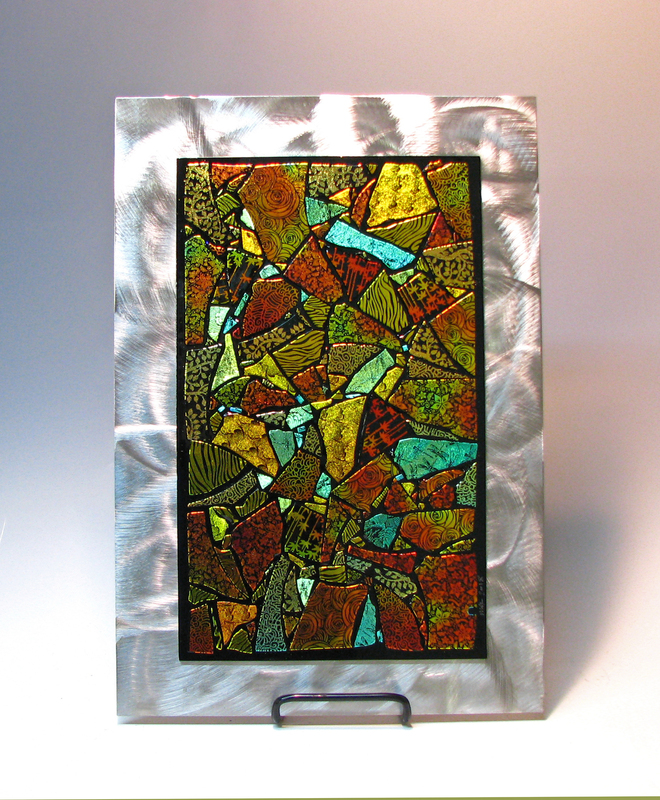 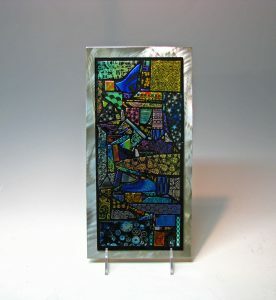 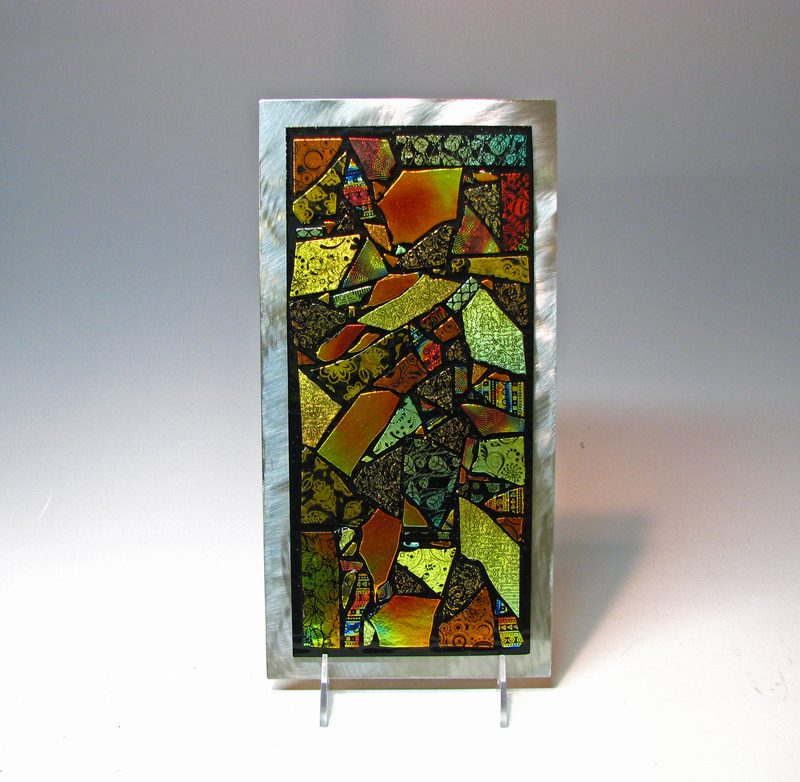 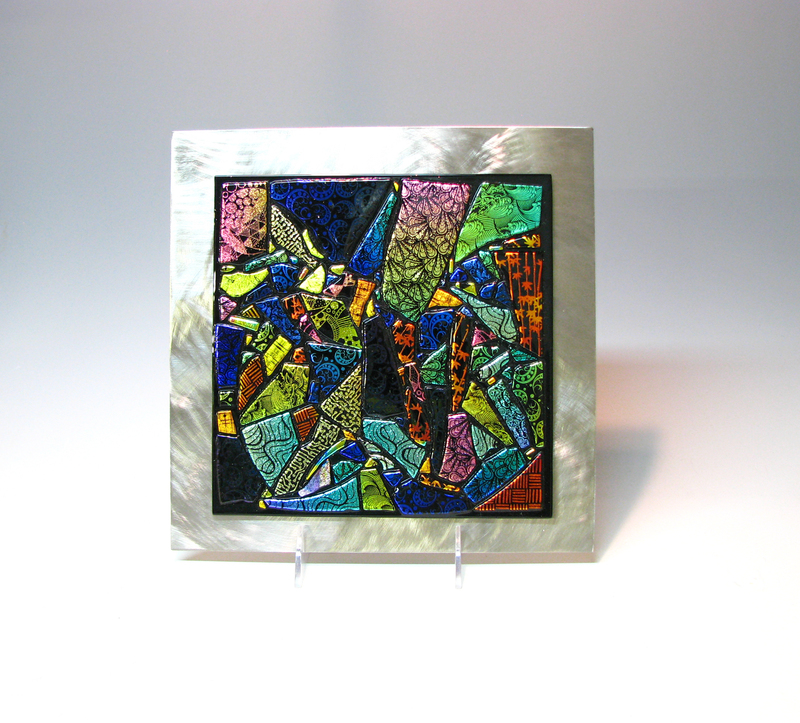 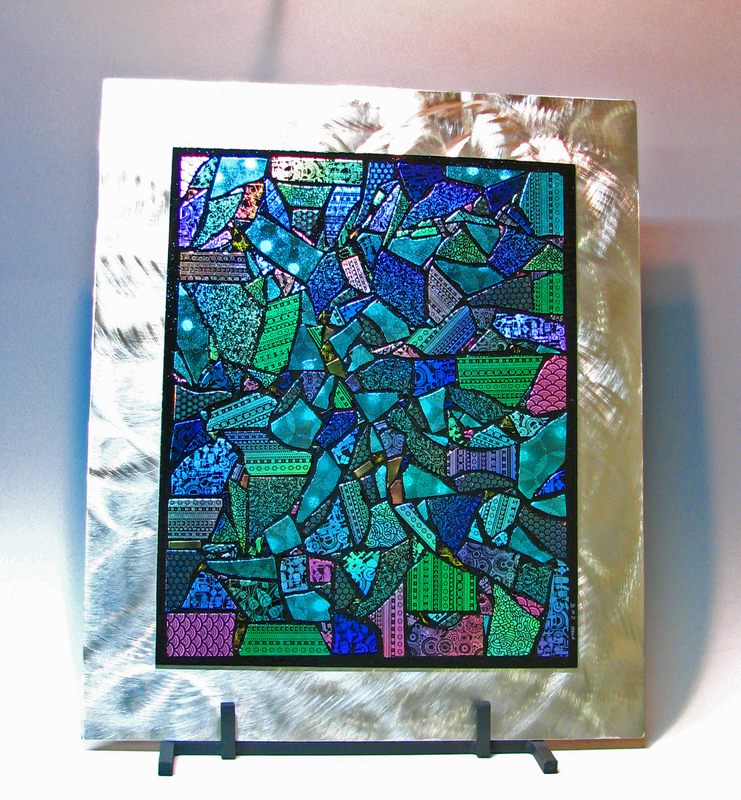 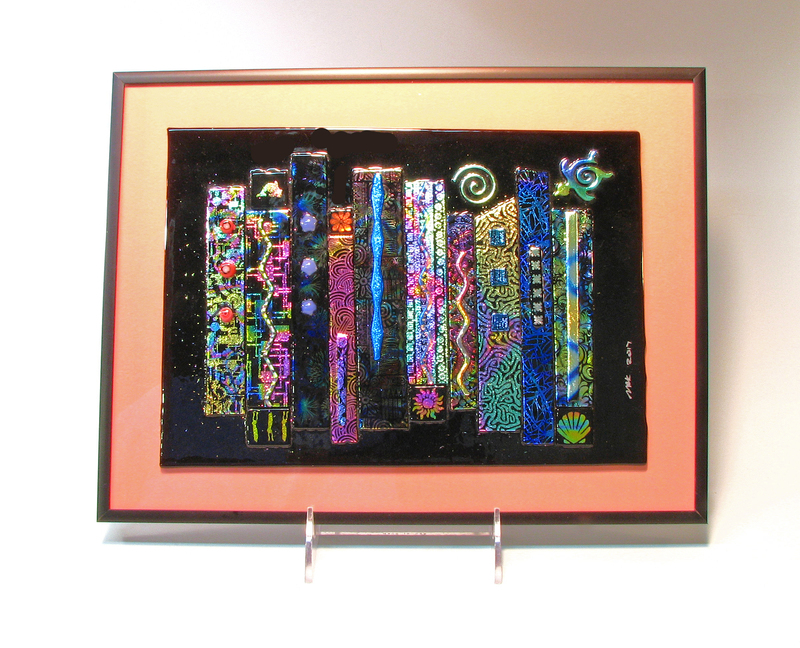 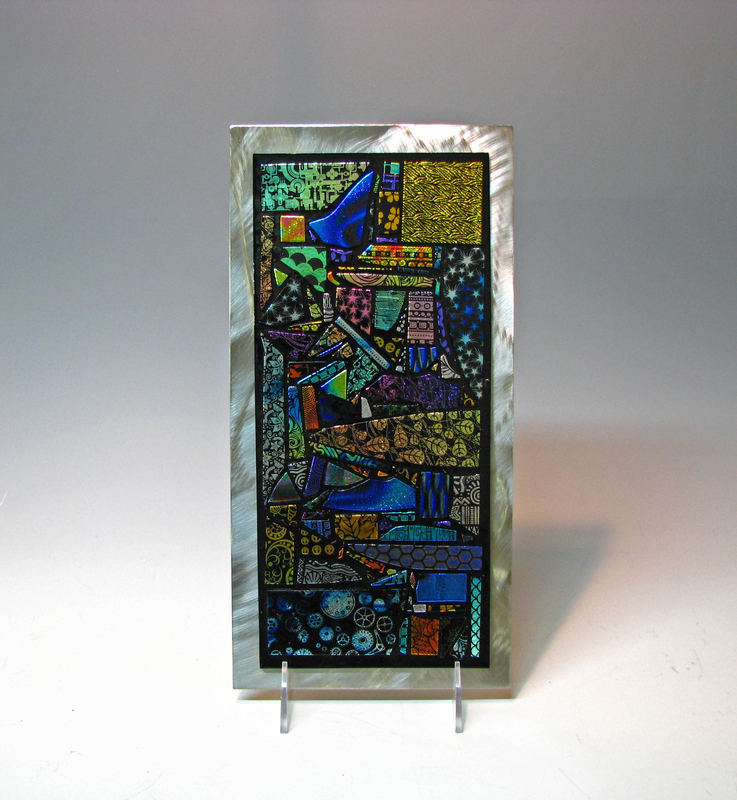 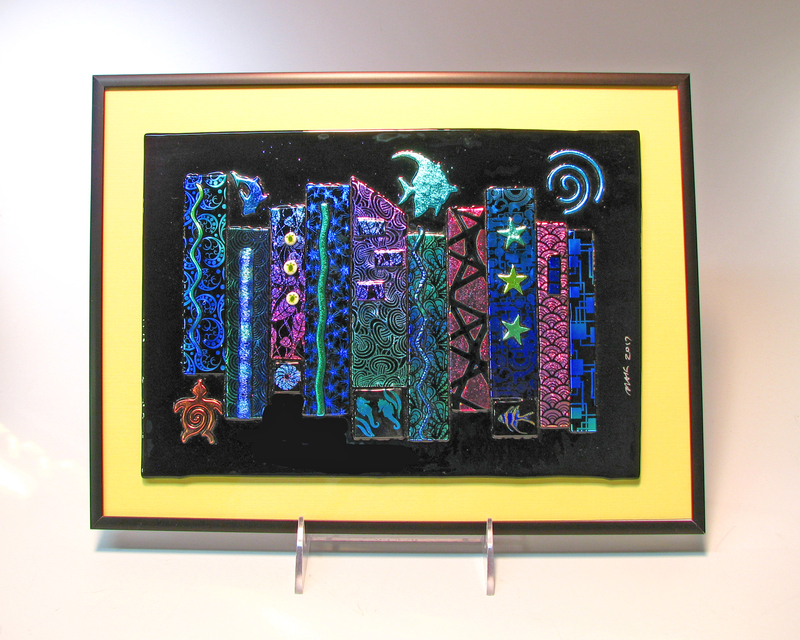 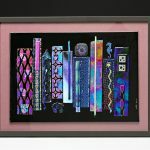 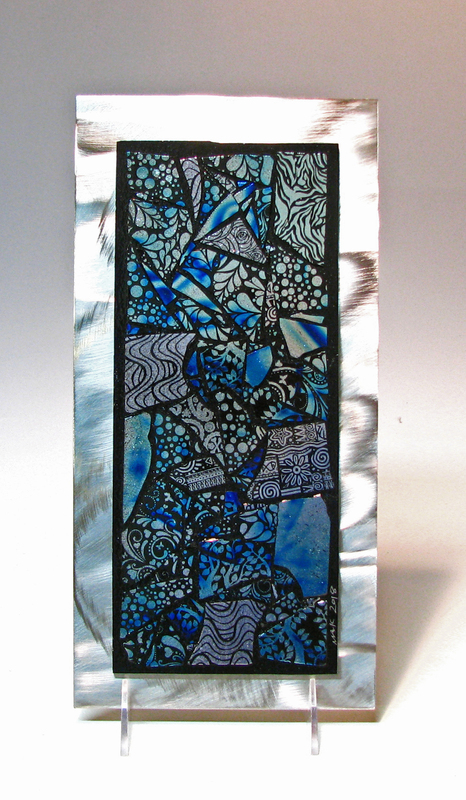 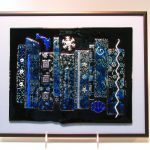 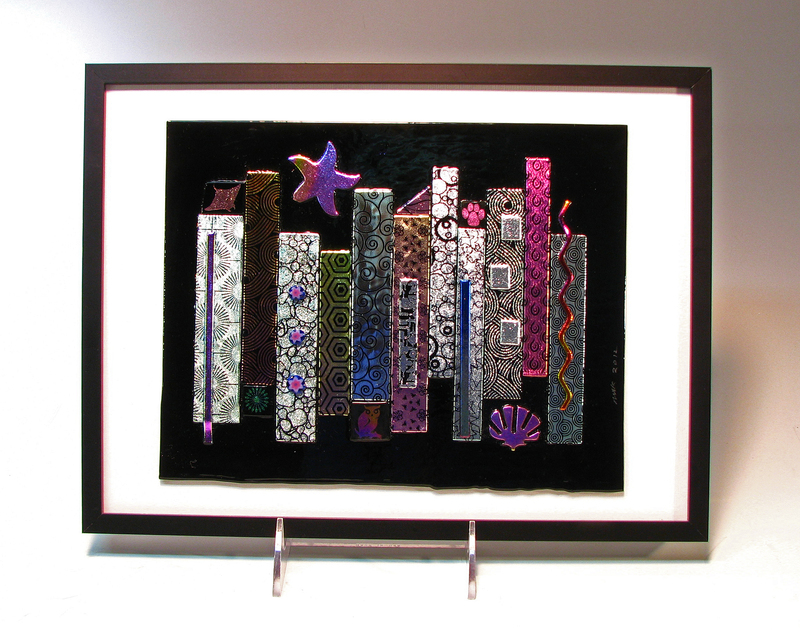 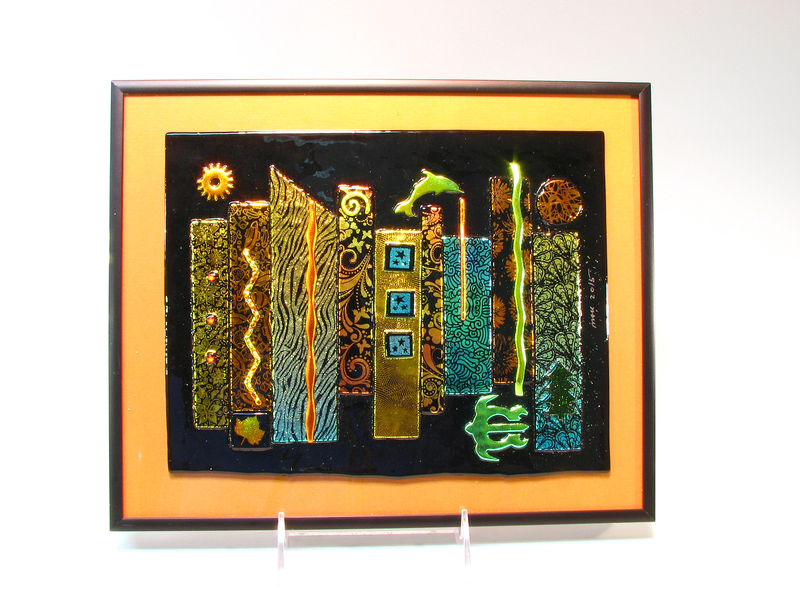 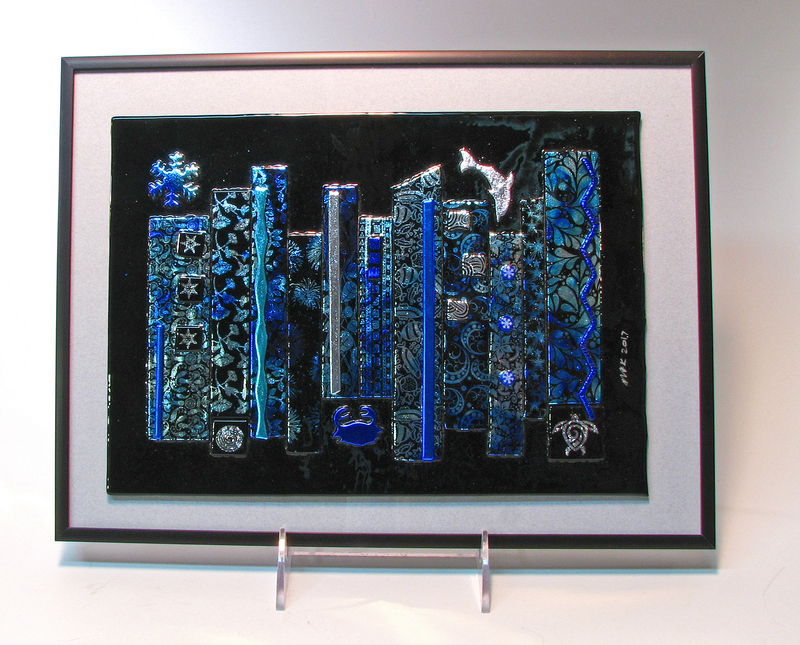 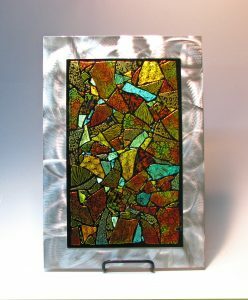 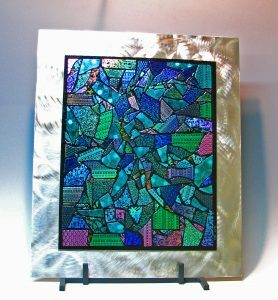 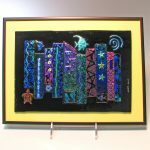 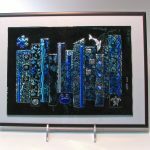 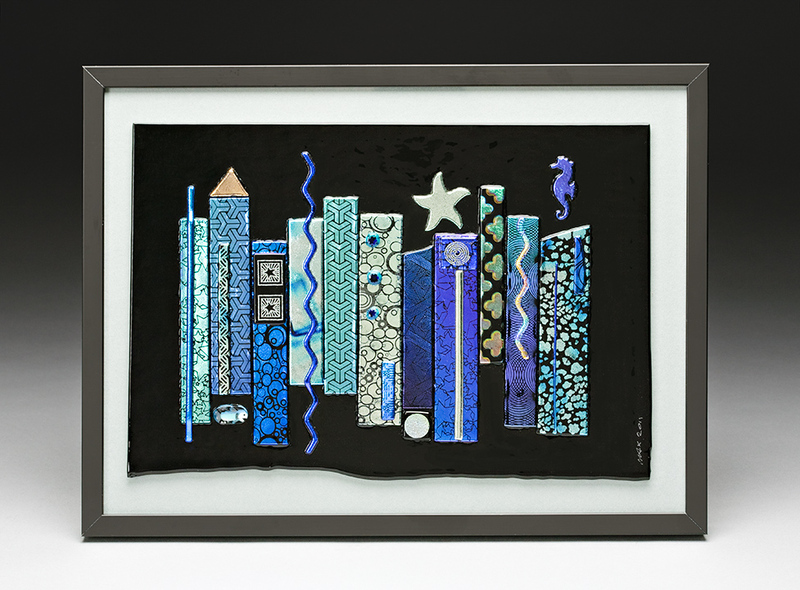 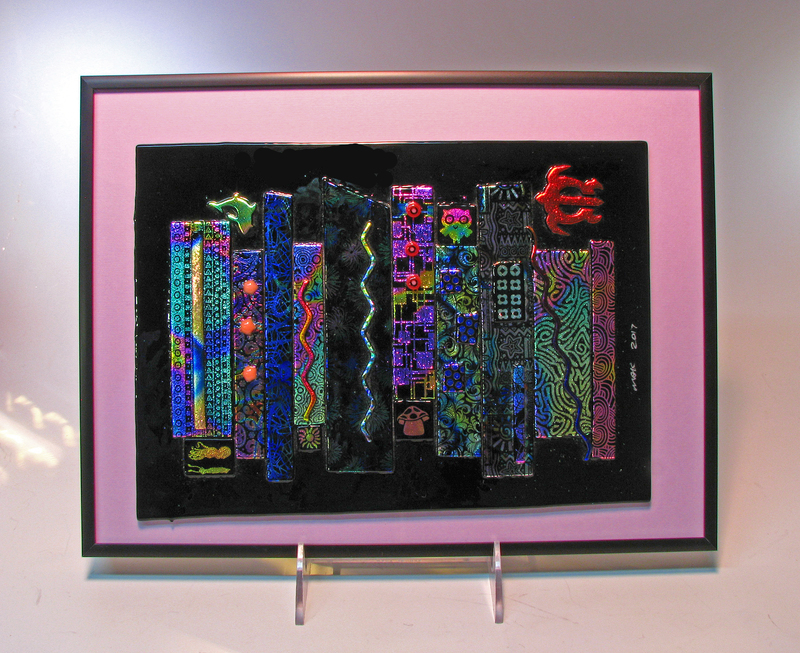 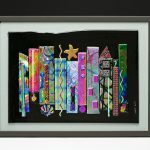 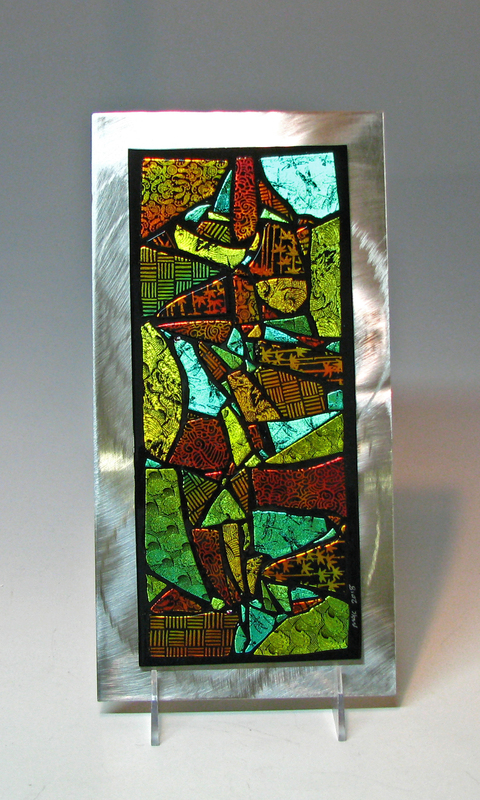 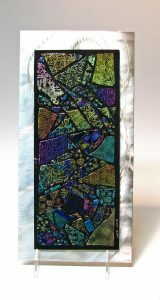 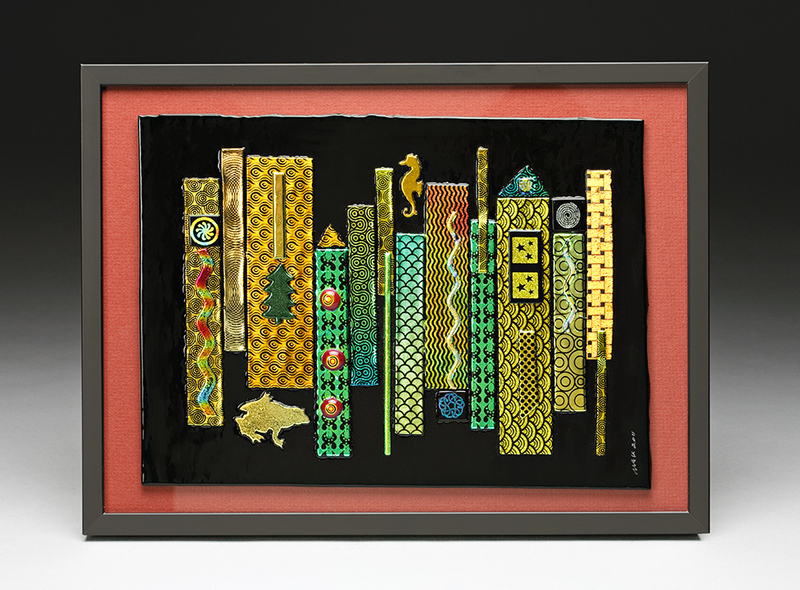 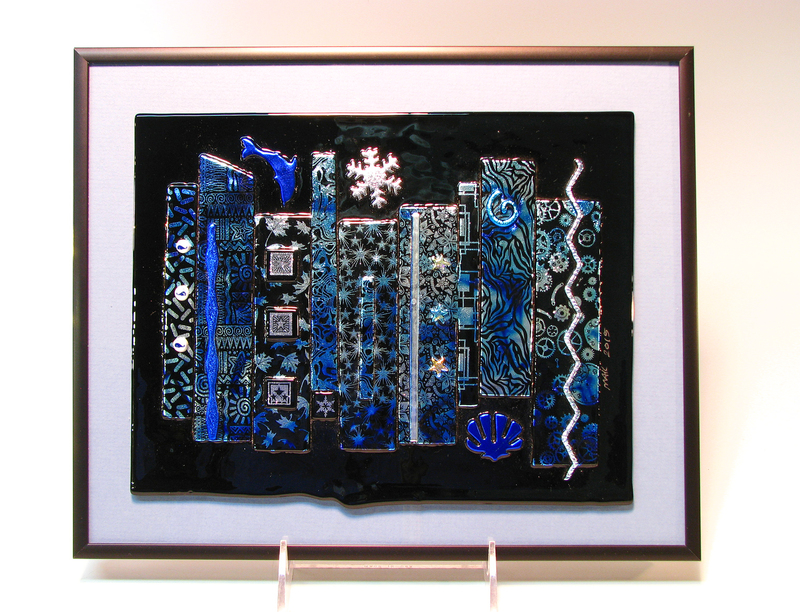 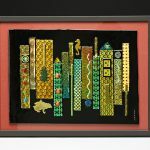 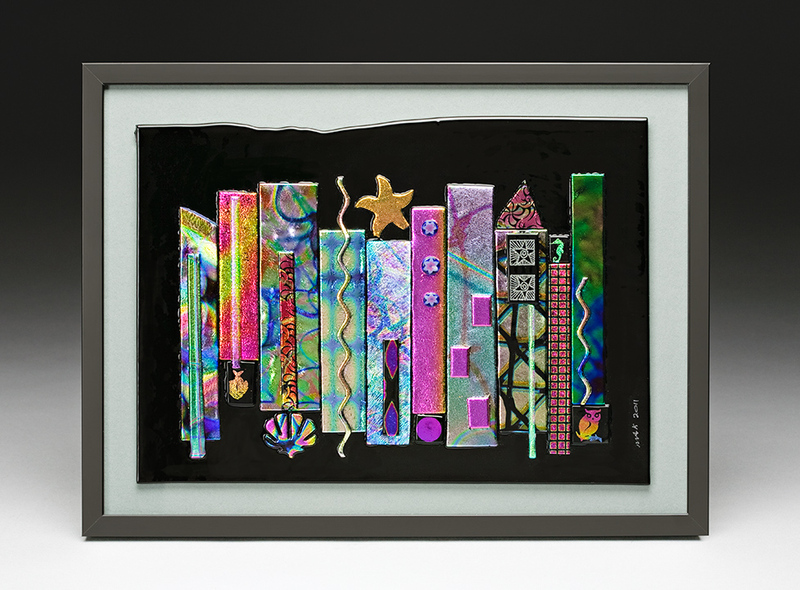 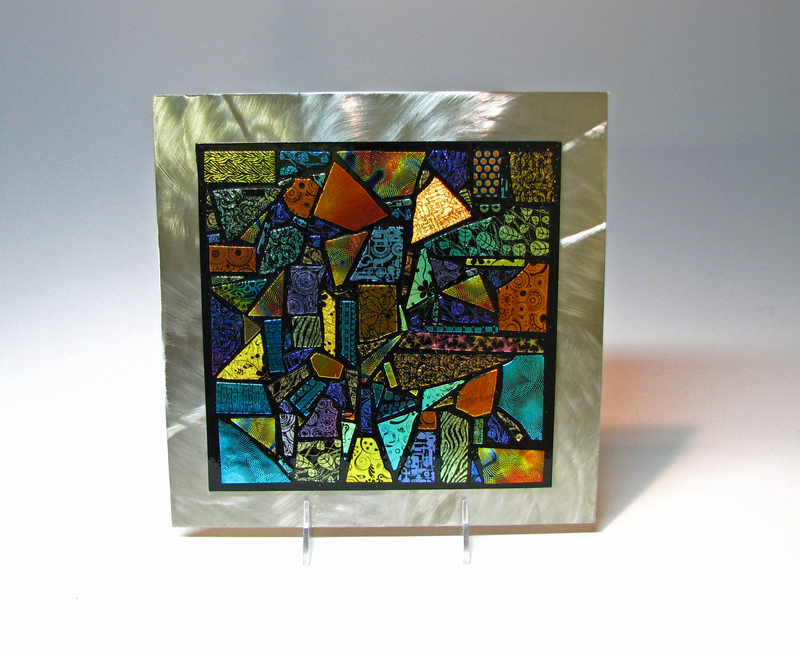 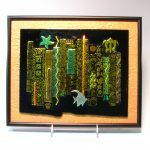 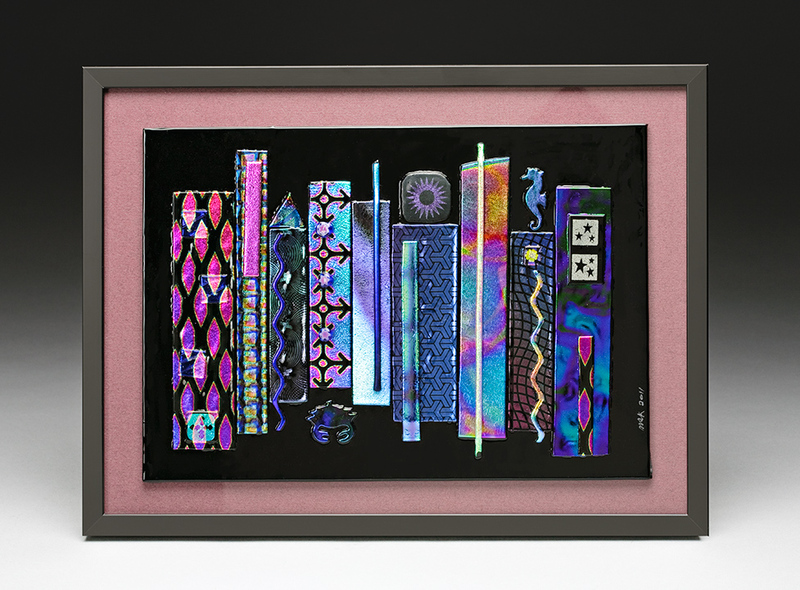 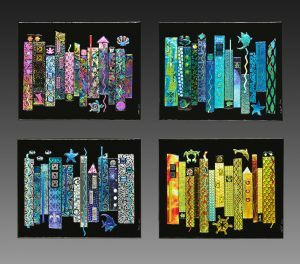 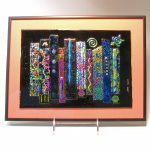 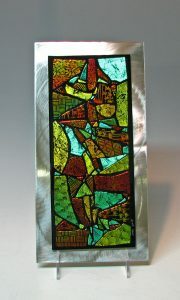 The fused glass piece is then mounted on framing glass, matted in a complimentary color and framed in a 9×12 black aluminum frame. 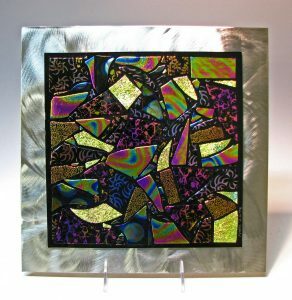 Since the piece is “tack” fused rather than full fused, it retains a texture and depth that you won’t be able to keep from touching. 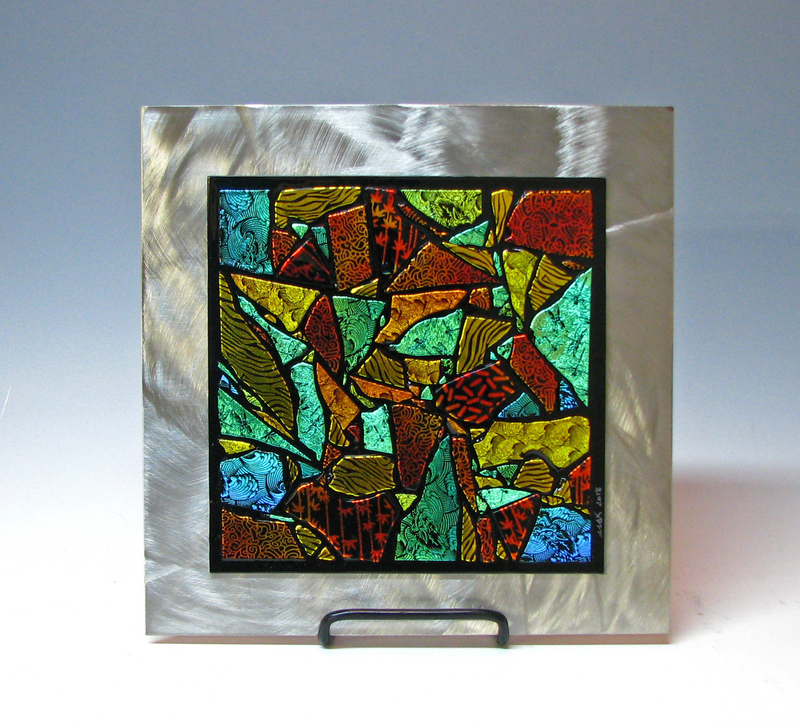 Go ahead – it’s ok. Glass is very tactile – it loves to be touched. 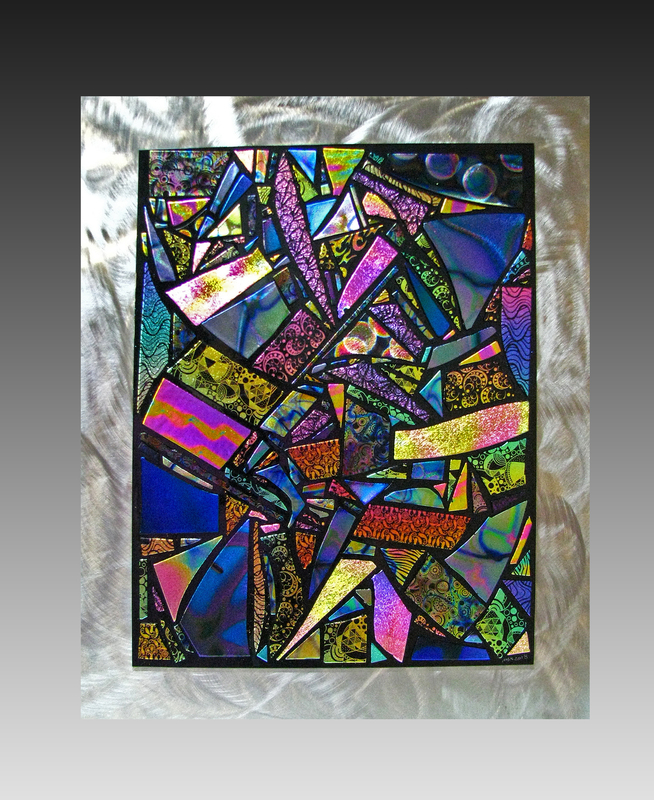 Click on a thumbnail to see larger versions. 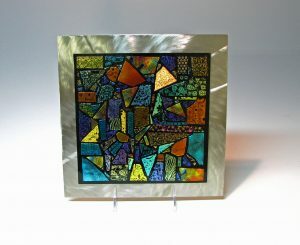 The Following photos were taken in my studio. 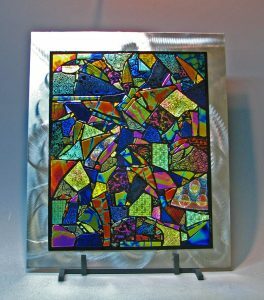 They don’t hold a candle to the above professional photos. 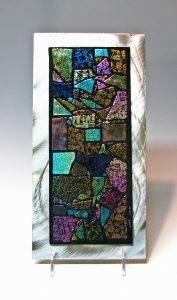 But I hope you can get the idea. 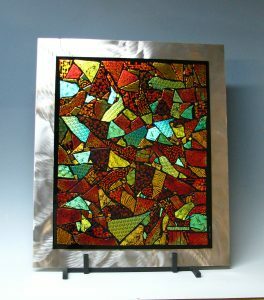 I assure you they are as beautiful as the ones above in real life.